The Economist‘s analysis of Germany’s job market miracle of the past ten years offered in “What the German economic model can teach Emmanuel Macron” is more balanced than the usual accounts one hears in Germany itself. Germans are in love with the idea that structural reform of their labor market and persistent budgetary austerity were solely responsible for the German economy’s superior performance in recent years. The Economist highlights that Germany was fortunate enough to embark on its route for national salvation – the decisive lowering of its labor costs relative to its European partners – at a time when the world economy and global trade were booming, when China was craving German capital goods, and German companies were restoring their special relationship with a region reemerging from behind the iron curtain. No doubt France and its struggling euro partners are facing a far less benign regional and global environment today. The Economist would have done well to remind us that despite enjoying a more favorable economic context, Germany became known at the time as “the sick man of Europe/the euro.” Between 1996 and 2006, Germany managed to almost persistently suffocate domestic demand to such an extent that the economy was growing, if barely, on exports alone: the background to Germany’s 8.5 percent-of-GDP current account surplus today. As for France, the bar is much higher today, not only because of stagnant export markets, but also for the fact that France is a far more closed economy than Germany. In other words, there is more to suffocate in terms of domestic demand, but less to gain in terms of exports. In short, the chances of France getting seriously sick by mimicking Germany are very high indeed. Also, if Europe’s second-largest economy were to embark on the deflationary path earlier trodden by Germany, bear in mind here that the European Central Bank is already in a quagmire. After overcoming many obstacles, legal and intellectual, the bank is applying its full weaponry today in trying to move Eurozone inflation back closer to its 2 percent price stability norm – while facing the prospect of soon running out of ammunition in terms of the fast-shrinking German public debt available for purchase on the market. And this directs the attention to the true challenge that France and Europe are facing today: German public debt is shrinking fast because Germany runs a sizeable budget surplus. 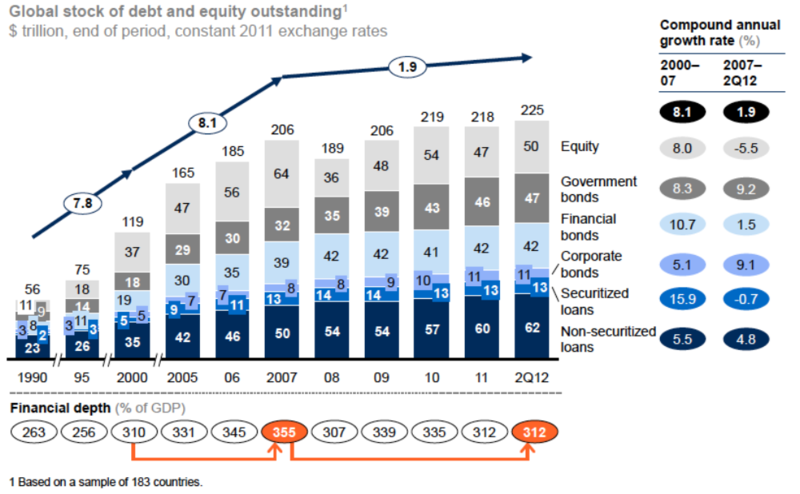 Quite obviously – as the vast imbalance between private saving and investment reveals, which is closely related to the surge in inequality in Germany –this is only made possible by the fact that Germany runs a massive external surplus: the counterparts to which are current account deficits and rising debts of other countries. The upshot of all this is that France and Europe have a zero chance to rebalance for as long as Europe’s largest economy refuses to rebalance too; which means that Germany’s evangelized, but greatly distorted, narrative of its own success will need some fine-tuning too. For the sake of Europe, let us hope that Angela Merkel’s newfound wisdom that “we Europeans must really take our destiny into our own hands” means that Germany is finally getting ready for a decisive course change to its own economic affairs. Failure to do so, leaving France out in the cold under Emmanuel Macron, would bring Marine Le Pen back into the limelight much sooner than in five years’ time. 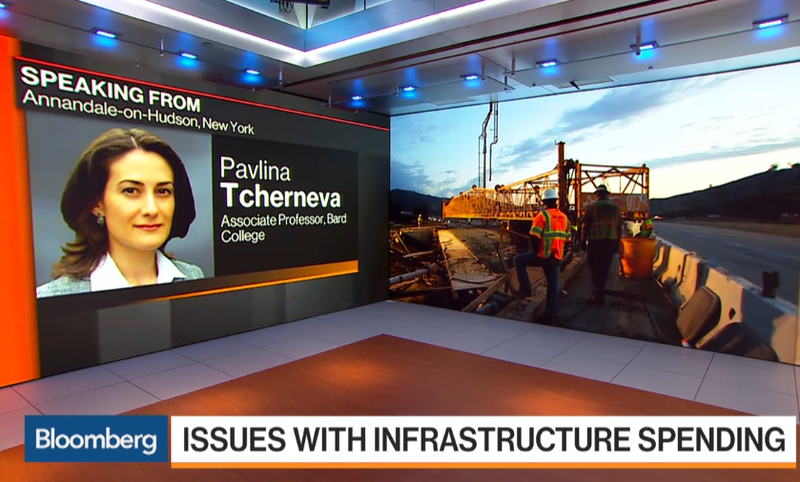 Tcherneva’s point is that infrastructure investment should be determined primarily by the state of dilapidation or obsolescence of our roads, bridges, etc., and not so much by the moment we occupy in the business cycle. There are some who would argue that the time for a large fiscal stimulus has passed, with unemployment at 4.6 percent and growth continuing apace. There’s a good argument to be made that we’re not at “full employment” even at this moment, and that there’s no need to back off on stimulus (though there’s still the question as to whether the Federal Reserve would attempt to depress economic activity by raising interest rates in response to any substantial fiscal expansion — and, additionally, whether the Fed would succeed in those circumstances). But the point is, where you stand on this debate regarding the business cycle and the meaning of full employment shouldn’t be the driving factor behind infrastructure policy — we shouldn’t necessarily pursue or avoid infrastructure repairs and improvements for those reasons. Moreover, if you’re looking for a job creation program, which Tcherneva would argue ought to be the point of “stimulus,” there are more effective options. In particular, she advocates a job guarantee that would provide paid employment at a minimally decent wage to all who are willing and able to work. Among other reasons, Tcherneva notes that such a program, which automatically expands during economic downturns and contracts in better times, is more effective as a countercyclical stabilizer, as compared to spending on infrastructure projects (read the tweet-storm version of the argument here). This last part of the series (see Part I, II, and III here, here, and here) will focus on the Brazilian response to the crisis. 1. What Should Brazil Do? Building on Keynes’s investment theory of the cycle, Minsky’s work suggests that the structure of the economy becomes more fragile over a period of tranquility and prosperity. That is, endogenous processes breed financial and economic instability. While Minsky adopted Keynes’s “investment theory of the cycle,” he added a financial theory of investment, with a detailed exposition of the theory in his book John Maynard Keynes (1975), which put at the forefront the interrelation between investment decisions and the financial structure designed to allow economic units to take positions in assets by issuing debt. In this regard, debt accumulation is at the core of Minsky’s instability theory. His financial theory of investment incorporated Kalecki’s approach in which aggregate profits are created, mostly, by the autonomous components of demand (Minsky 1986, 1989). One can add to this analysis Godley’s three balances approach, which explores the interlinkages between the government sector, the private sector, and the external sector. This means that a surplus must be matched by an equal deficit and flows accumulate to stocks. In this regard, Godley’s framework sheds light on the identification of financial fragility at the macro level, in which, to accumulate financial wealth, the private sector (firms and households) needs to spend less than its income. This can be accomplished through a combination of government budget deficits and current account surpluses. 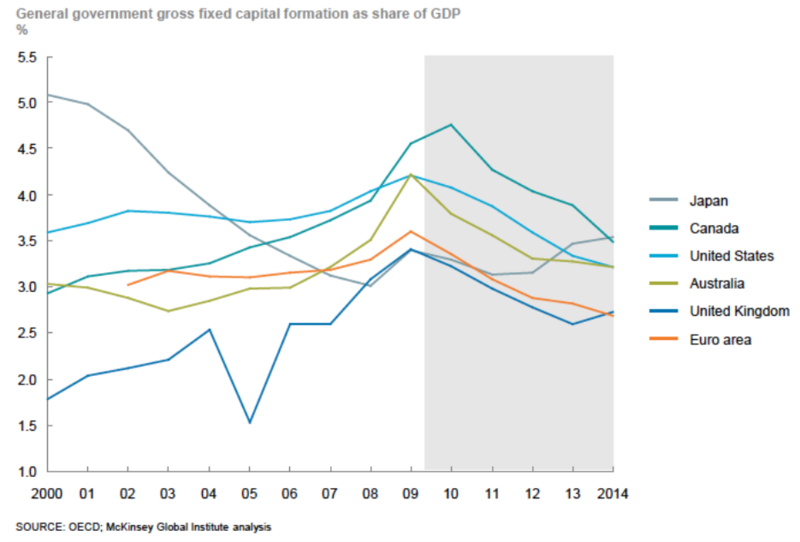 This framework is then incorporated into Minsky’s theory of the business cycle to analyze Brazil’s current crisis. In particular, Minsky’s framework not only sheds light on how to detect unsustainable financial practices, but the position adopted in this paper is that the current Brazilian crisis does fit with Minsky’s instability theory.